I’m a fan of Physician’s Formula Organic Wear range, especially, its mascaras. Most of them perform well for my lashes and leave me satisfied with the results. The newest addition to my mascara family is this Physician’s Formula Work It! Full! Flared! Fit! Mascara from its Spring / Summer 2016 collection. Usually, my first impressions of a product are about its packaging or its scent, or the ingredients it contains. But this time, the very first thought that comes to my mind is what a strange way to name a mascara. To be honest, I think the title is too excessive, and since I can never remember it accurately, I refer to it as “that pink and yellow mascara”. That pink and yellow is what the bright ombre packaging looks like, which is actually fun and beautiful. Citrus Aurantium Dulcis Fruit Water, Glycerin, Iron Oxides, Glyceryl Stearate SE, Beeswax, Microcrystalline Cellulose, Copernicia Cerifera Wax, Tapioca Starch, Stearic Acid, Hydrolyzed Corn Starch, Oryza Sativa Powder, Jojoba Esters, Glycine Soja Oil, Hydrolyzed Kale Protein, Hydrolyzed Quinoa, Kunzea Pomifera Fruit Extract, Olea Europaea Leaf Extract, Oryza Sativa Extract, Syzygium Leuhmanii Fruit Extract, Tasmania Lancelota Fruit Extract, Acacia Senegal Gum, Alcohol Denat., Aloe Barbadensis Leaf Juice, Cellulose, Cucumis Sativus Fruit Extract, Glyceryl Caprylate, Helianthus Annuus Seed Oil, Hydrolyzed Carrot Protein, Hydrolyzed Lemon Protein, Leuconostoc/Radish Root Ferment Filtrate, Leuconostoc Ferment Filtrate, Magnesium Aluminum Silicate, Pullulan, (Baking Soda, Trehalose, Water, Tocopherol). The mascara is described as a revolutionary do-it-all mascara guaranteed to last through your toughest workout leaving your lashes looking full, long, flared, and dramatic. I wouldn’t call it revolutionary, but for a long-lasting mascara, it’s not bad. It’s water-resistant and does a great job at giving volume, separation, and definition to the lashes. The mascara has a recyclable, flexible, and easy-to-use wand with short, sparse bristles. 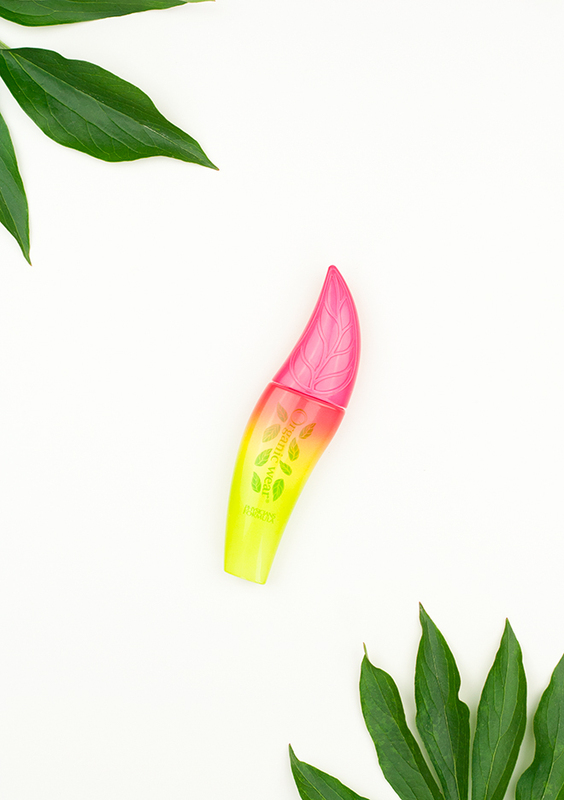 The formula is quick drying, and it doesn’t stain my eyelids, even with this wide wand. I also like that it stays in place all day without smudging. The main downside with this mascara was that it dried out pretty fast (after about two weeks of daily use) and started clumping and giving me spider lashes instead of separating nicely. This has never happened with any other Organic Wear mascara, so I’m not sure if I have received a faulty one or it’s just the way it is. You can get these mascaras online (sometimes even on discount) at Walmart, iHerb for about $9.95/£7 for 7.5ml. Have you tried this mascara? What were your impressions of it? I bought this the other day when I happened to see it at Target (convenient, right?!). I love that Target chose to sell this product. I think so many big name stores should focus more on these sorts of products so people who choose organic can pick it up while theyre at the store rather than having to search around or order online. 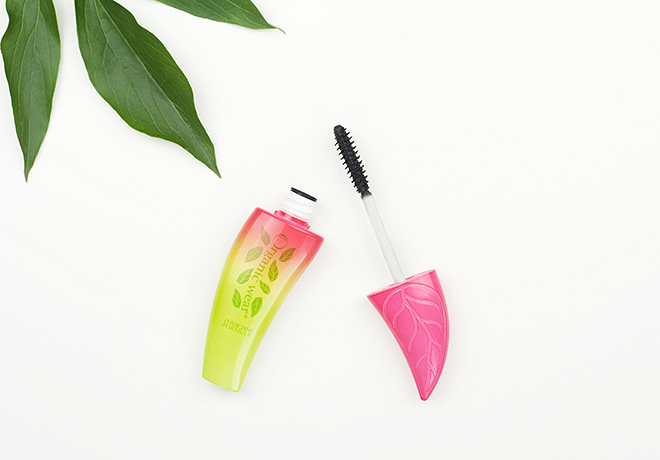 It wears quite well, not too much of a difference than other mascaras I have tried. It’s slightly heavier in my opinion, but still definitely wearable and looks great! You’re so right, Kel! It would be nice to have organic beauty products even more available and easily accessible. Actually, I havent tried anything from Physician´s Formula yet. But I would like to try out their mascaras or bronzers. They’re really worth a try, Sasha! no side effect. I loved it. Thank thanks and thanks!! !